This innovative Sleepwear Line is able to restore muscle faster when you sleep! It is necessary for the body to rest after a day of vigorous workout. Quality sleep is not just a time where both the mind and body shut down, but also recharges the brain and prepare us for the following day. When it comes to our physical and mental health, sleep is as important as healthy consumption and regular exercise. What better way to recover from the day of vigorous workout with Under Armour's latest Recovery Sleepwear line that features the ultimate post-game, post-train advanced sleep system which was designed to help athletes restore muscle faster while the body recovers during rest. 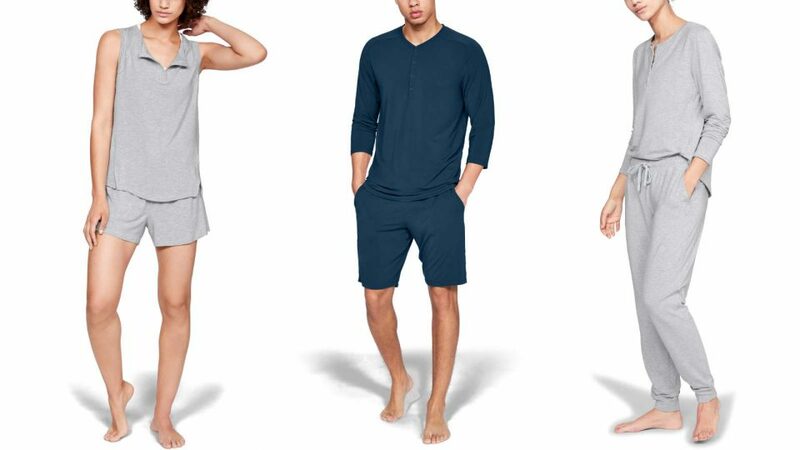 This new sleepwear line is powered by Celliant, an infrared technology that has been determined by the FDA to increase localised circulation in which leads to a faster recovery. The soft bio-ceramic print inside the sleepwear returns infrared energy to the body while boosting localised blood flow and increasing the amount of oxygen reaching the muscles, helping the body to restore and re-strengthen the muscles. We had the opportunity to interview Marketing Director, UA Sports (S.E.A) Pte. 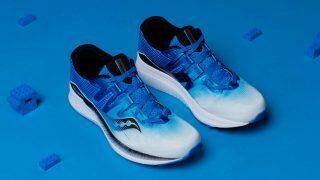 Ltd, Ms Yvonne Tey and many other Under Armour ambassadors who can talk more about the Under Armour’s latest Recovery Sleepwear line and how has it helped them recover from post-SCSM (Standard Chartered Marathon Singapore) 2018. 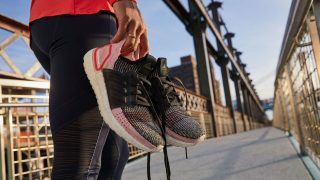 As compared to other brands, what does the UA Recovery line have that others don’t? Why should people consider getting this apparel? Yvonne Tey: There are numerous apparel and devices that aid recovery after a run and all these are valuable for athletes who seek to recuperate after intense physical activity. We believe in the importance of quality rest – hence, Under Armour partnered with Celliant, developers of a patented infrared technology that utilises a blend of minerals and proprietary ingredients printed onto the core of fibres that make up UA’s latest Recovery products. Our bodies have a large capacity for creating the energy but are not as efficient at retaining it, especially after being put through a long marathon. 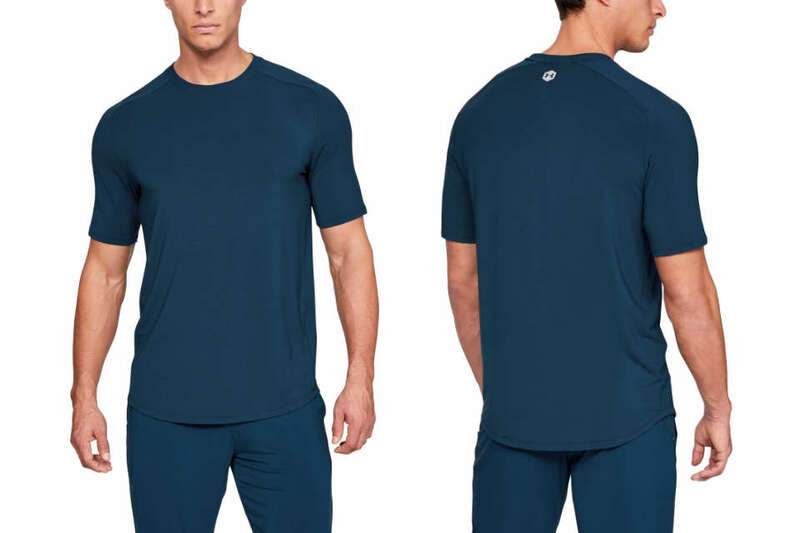 The Under Armour Recovery Sleepwear line incorporates bioceramic technology into a patterned lining on the garments, which is designed to maximise comfort and fit. The pattern includes special bioceramic particles that absorb infrared wavelengths – in essence, it reflects your body's natural heat back to you as infrared light. This type of infrared rays, far infrared energy, is a completely safe type of radiation that promotes cell re-growth within the body. This means that your muscles and joints regenerate faster, translating to less soreness after intense physical activity. Sleep is the most crucial part of post-workout recovery – adequate levels of sleep help to provide mental health, hormonal balance, and muscular recovery, building your physical and mental fitness. Hence, we hope to help athletes make the most of their rest time through the Recovery line, which works to improve the quality of their rest over the long-term. Why it is important to actively pursue recovery after a rigorous marathon? Yvonne Tey: The whole purpose of recovery in exercise is to allow your muscles to repair themselves after an intensive workout. Building recovery time in any training program is important because this is the time when your body adapts to the stress from being pushed to train and exercise. Recovery also allows the body to replenish energy stores and repair damaged tissues. Exercise or any other physical work causes changes in the body, such as muscle tissue breakdown and the depletion of energy stores (muscle glycogen) as well as fluid loss. Athletes may pursue recovery through light exercise, eating the right foods and longer hours of sleep. 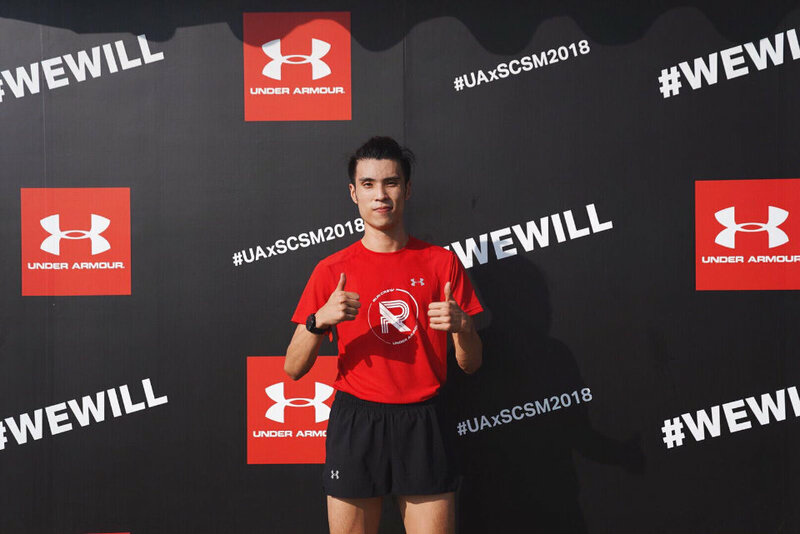 As mentioned above, these are the interviews with the Under Armour ambassadors who took part in the marathon – Natalie Yeo, Yong Man Yun, Chris Sim & Banjamin Quek! What category for SCSM 2018 did you participate in? 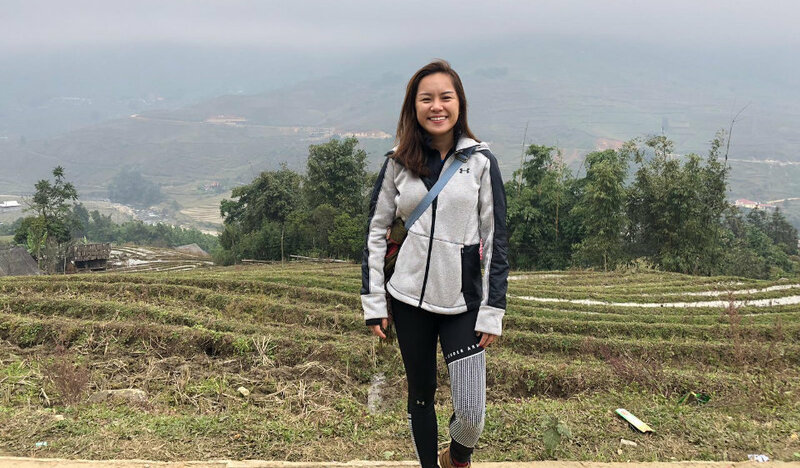 Natalie Yeo: I originally wanted to challenge myself this year and run my first half marathon, but owing to a foot injury, I ran in the 10km race category instead this year. How did you celebrate after finishing the race? Natalie Yeo: I had a very hearty breakfast! I also timed a family holiday to New Zealand just the day after, which I guess was a nice reward post-race. Did you immediately go back to training after the conclusion of SCSM 2018? Natalie Yeo: Working out has become such an integral part of my lifestyle that my day feels a little incomplete if I don't work out. I did hit the gym the following day, just prior to leaving for New Zealand. What are some of the challenges that you've faced during/after a race? Natalie Yeo: My primary training involves high-intensity interval training (HIIT) or circuits, and weight training. Conversely, because I don't train myself as much for long distance running, my muscles aren't as used to endurance types of races. What is your post-marathon recovery routine? Natalie Yeo: I make it a point to eat well, which for the most part involves ensuring I consume sufficient protein for muscle recovery. I also keep myself active and stretch, because good blood circulation helps speed up recovery. How do you feel when wearing Under Armour’s latest Recovery Sleepwear line, and how has it aided you in the recovery process? Natalie Yeo: I feel amazing! Seriously! It's super soft and very, very comfortable. The Recovery Sleepwear line boasts a bioceramic print on the inside of the fabric, which returns infrared energy to your body, boosting the localised blood flow, as well as increasing the amount of oxygen reaching your muscles to restore them faster. So yes, it’s supposed to take sleep and recovery to a whole new level! Yong Man Yun: I participated in the half marathon this year. Yong Man Yun: I indulged in some comfort food – fried chicken and bubble tea! Yong Man Yun: Nope, just some easy runs for about 2 weeks. I also went for a trip to chill and not think about running for a while! Yong Man Yun: I was injured since August, hence my weekly mileage even up till race day was low, averaging at 20-30km per week only. I was struggling to maintain my race pace after the 12km mark. Yong Man Yun: Lots of stretching – and repaying my sleep debt! Yong Man Yun: I could literally feel some heat and circulation when I wore the items to sleep! My legs and body do feel less heavy than usual after a hard workout from the previous night. I try to wear my Recovery apparel to sleep as much as I can since I train daily – especially for weeks with more intense workouts or pre/post-race days. Chris Sim: I tried the 21km category this year! Chris Sim: I immediately went for a good breakfast with my fellow Superhero Runners. Chris Sim: After two days of rest, I went back to training. 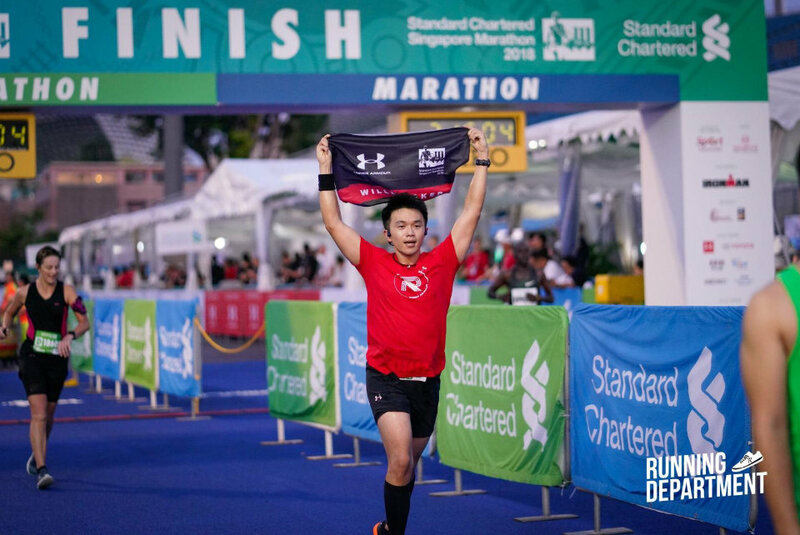 Chris Sim: During SCSM 2018, it was very humid so that was a key challenge – I also had some dehydration symptoms after the race. Chris Sim: After finishing a race, I typically use the next day to do a slow 2-3km run as part of my recovery process. This year, I integrated the Under Armour Recovery apparel into my routine to try to improve my sleep as well. Chris Sim: The Recovery sleepwear line has a very comfortable and soft fabric and helps to maintain the temperature of the body. This is important for avoiding cramps at night when it’s cold – especially after a race. I personally find it quite stretchable and not too tight; it helps me to relax throughout the night and feel refreshed the next day. I would get another set. Banjamin Quek: I participated in the 21km category. The race course was pretty tough due to the humid weather and slopes on the highway. However, I am glad to be able to clinch local 3rd in that race. Banjamin Quek: I went for a meal at Raffles city with my teammates after the race. We did not hang around for long because we were all worn out after the run. Therefore, getting into very comfortable wear and slipping into my bed is the best way to celebrate after the race for me! Banjamin Quek: Nope, I was given a few days off after the competition. As the body’s immune system is usually weak after physical exertion, it is best to allow your muscles and body to recover from the strain to avoid falling sick or injuries. Easy runs and regular stretches are recommended to clear the remaining lactic acid in the body. Hydration: As I lose lots of fluids during a run, I usually feel dehydrated in the middle of the race. I think SCSM has positioned their water points pretty well, but they could have done it better by placing more of them along the highway as I was feeling slightly dizzy from the lack of water. The humid weather did not help, either. The dilemma of sticking to the race plan or listening to your body: I was planning to run at 3:45 minutes/km pace for SCSM 2018. However, I found it challenging to stick to the pace due to varying weather conditions and race terrains. I feel that I could have done better by listening to my body that day as I was struggling to complete the last few kilometres of the run. To drink coffee or not? : As the race was very early in the morning and I did not manage to catch much sleep, I decided to take some coffee for a well-needed boost. However, coffee causes dehydration and it affected my race to some extent. Hence, it is important that one plans the timing to take the beverage before the race. Rest:I usually keep my race days free so that I will be able to rest for the entire day after the race. My legs are really sore, so I prefer staying at home and catching up with my favourite shows. Rest is vital for recovery to avoid injuries or the risk of falling ill.
Banjamin Quek: I usually take a hot shower, have a good meal and sleep in for a few hours at home. If my schedule allows, I will go for a sports massage in the evening after a race. I will also be on my couch collating race photos from friends and race photographers. 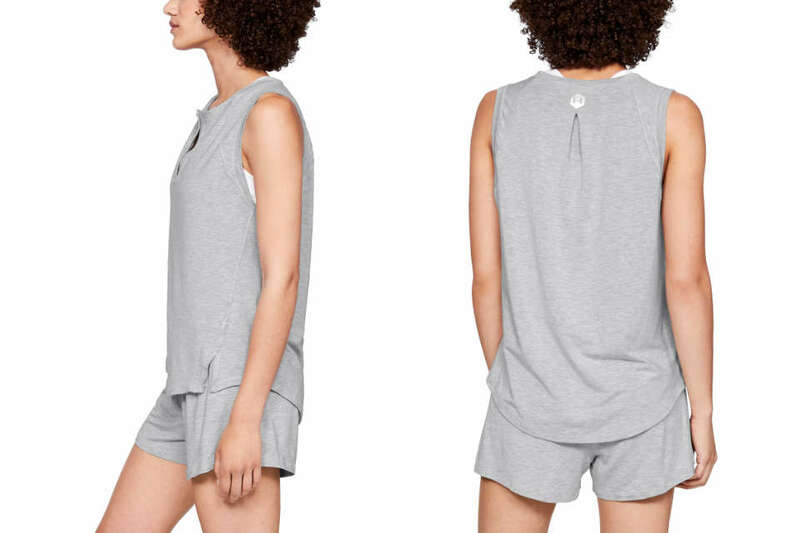 Banjamin Quek: The material of the sleepwear is really soft, and it was very comfortable to sleep in. I wear it to sleep before the race and after the race. As compared to my normal sleepwear or tights, I do feel more recharged when I wear the Recovery sleepwear line. It has definitely helped to improve my quality of sleep, and I can distinctly tell the difference. Overall, I felt less tired, as it speeds up the recovery time. What do you use to aid your recovery after a marathon race or vigorous workout? Share with us in the comments. 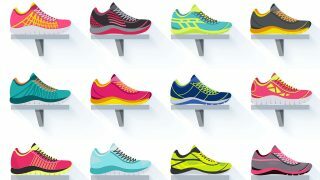 New Saucony Ride ISO: It’s a Performance and Style Shoe-In!